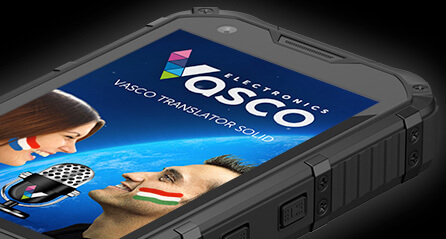 Meet VASCO MINI, a pocket-size, electronic translator speaking 40 languages. Use its huge potential today. Vasco Translator Mini is the most recent voice translator combining an unprecedented comfort of use and translation accuracy and speed. 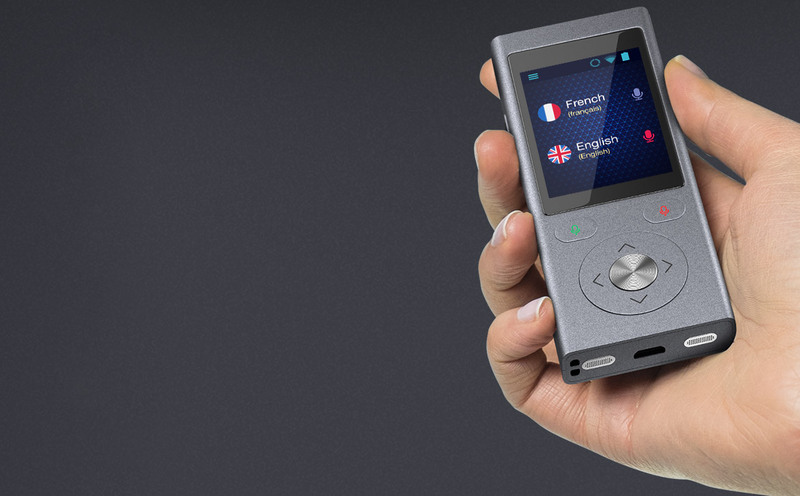 Vasco Mini opens an era of mini and nano electronic translators that you can take anywhere. Find a common language with foreigners around the world. 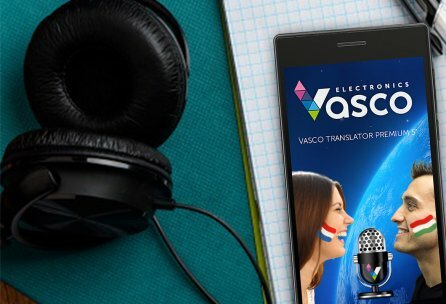 Vasco Translator Premium is a voice translator that can easily translate any spoken sentences into 40 languages. It is a professional electronic translator with a rich database of useful phrases. Vasco Traveler Premium – available with 5” and 7” display – is a cutting-edge voice translator, a precise GPS navigation, a phone with cheap Internet around the world and many other travel functions. Waterproof, dustproof and shockproof device for the most demanding travelers. 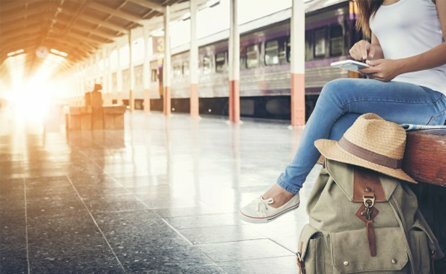 It combines the most helpful functions in travel – a voice translator, GPS navigation, cheap Internet, phone and many other functions. Perfect for extreme situations. Meet the winner of Tech. Travel Award 2015. Use the SIM card that allows you to surf the Internet anywhere you go, answer incoming calls for free in more than 160 countries and call your friends and family at discounted rates. Top up your SIM and use the Internet for as cheap as 2 cents around the world! On our website you can order fully compatible accessories such as handheld scanners, power banks, car holders or loudspeakers that make the use of Vasco easier and more comfortable. Boost the possibilities of your Vasco device using original accessories. 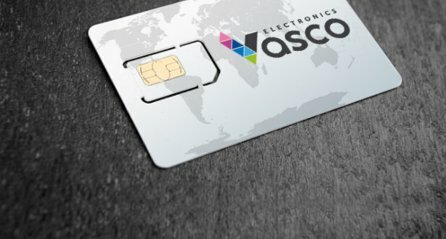 Vasco Electronics is a world leader in selling and manufacturing of electronic translators and mobile devices for travelers. 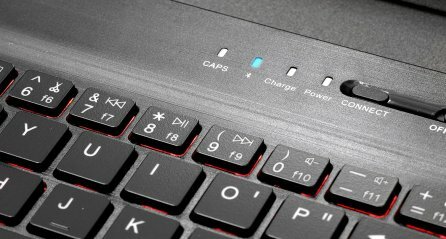 Our products are available in the United States, Canada and major countries of Europe including Germany, France, Great Britain, Italy, Spain, Poland, Hungary, Czechia and Slovakia. Dynamic development makes our company grow larger and expand its range to other countries and continents. On each stage of creating our products, we take into consideration the needs of our customers. Our electronic translators are designed in such a way, so they are first of all functional and useful. They need to combine state-of-the-art technologies with simplicity and ease-of-use. Vasco Electronics has rich experience in developing specialist software and devices facilitating verbal communication. We also develop innovative mobile applications, meticulously planned and of the highest quality. The way from a concept to the final product starts with a careful observation and answering to customers’ needs. Thanks to this, we can create technologically advanced mobile devices that will meet the highest standards and demands. We specialize in electronic translators and mobile, functional devices for travelers but we still enrich our offer and expand our range of products.